Any recommendations for bleach alternative? 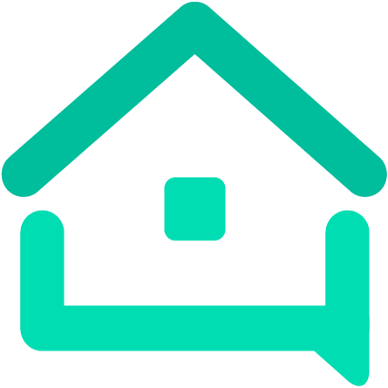 - Tools - We are your AirBnB hosts forum! Any recommendations for bleach alternative? I just cannot stand the smell of bleach anymore. My nose feels uncomfortable. I saw some recommendations for bleach alternatives such as lemon juice and hydrogen peroxide. I will give it a try but Wondering if anyone has used something and really worked. This is mostly referring to cleaning bathrooms. For laundry, I can leave the room while the washing machine is doing the work. I use OxyClean for the laundry. I can spot clean with the spray, and drop the tablets in the entire wash. For bathrooms, I like Bon Ami powder. I’m not sure where you’re based, so these products may have a different name in your country. Thank you! I am in the US. Another vote for Oxyclean. Everything in the rentals that can be laundered (bedding, towels, robes, bathmats, shower curtains etc.) is white and yet I’ve never lost anything to stains. I used oxyclean for spot clean. So how do you use it? Add a cup to the detergent? Here in the US there are probably a dozen brands of general purpose Bathroom cleaners with at least as many different scents; heck even the bleach comes scented in lemon, lavender and more. We like the Clorox brand cleaner, but the only ones we’re solid on is Windex for mirrors and Lysol for the blue under-the-rim toilet cleaner. Same with Laundry – we use Gain or Tide or whatever Costco has the best deal on when we mega-shop. Even a big jug doesn’t last long enough that scents bother us. The garage is where the washer/dryer is, and we also open the door to vent heat and anything else to the outside. We use Oxyclean as an additive and the occasional stain spot fixer. The Oxyclean for white linens comes in tablets, and I just drop one in the wash. The package recommends soaking in hot water too, but I use cold water unless I missed a stain and it went through the dryer and got set. Usually I can get stains out with oxyclean if I notice the stain right away and pretreat it and then use oxyclean in the cold water wash. The stuff I buy for my own colorful laundry is a powder but I only use white linens in my BnB. So how do you use it? Add a cup to the detergent? I use the powder instead of the detergent in the washer. I wash everything on cold. Hydrogen Peroxide is fine for disinfecting bathrooms. I use microfiber cloths for cleaning everything. Works great without soap or chemicals just water. I am highly sensitive to chemicals. If I need serious disinfection I use Hydrogen peroxide in one spray bottle then a little vinegar in another spray bottle. When combined they will produce peroxide-acidic acid. This is what commercial breweries use to disinfect fermentation tanks. It’s very potent so I always open windows. I spray the Hydrogen peroxide first then a little vinegar and wipe my counters, bathtub,cutting boards etc.